The WKU Department of Folk Studies and Anthropology‘s latest newsletter is available for download. 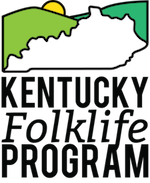 Featuring updates on all the new and exciting things happening in our home department, the newsletter features an article on Kentucky Folklife Program’s programming, as well as profiles on last year’s outstanding students, including our own Nicole Musgrave! Click on the image or here to download a copy of the newsletter.